hotel to make sure everything is in order and to provide the names of the customers. In case of a no show the total reservation value will be charged. The reservation is only valid and accepted if the cardholder is present him/her self for the requested and reserve period. In all other cases The cardholder must wire his indentitie card or passport by fax with the confirmation and his/her approval, for the reservation so that we are intitle to charge the given creditcard. max 24 pax if more nessary only on request. between 12-18 years only if enough adults are in control. 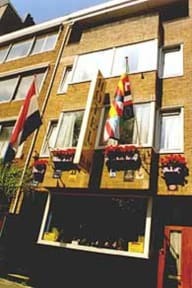 Hotel Baan is situated in the city of Rotterdam and is within easy reach by car or public transport. Hotel Baan is a Monumental City Building. We provide excellent service for all types of travellers. Most our rooms are equipped with shower, toilet, colour TV, radio, phone with wake-up service and a hairdryer. We serve a varied, Breakfast not for free 5 pp as Buffet. You have free access to our wifi lan Network or you can use our PC in the Lobby. We provide you a map with a vast selection of restaurants, attractions and clubs who are located quick and easy reach of our hotel. A local tourist tax at 4.5% is not included in the rate. so you have to put it on your amount due in hotel. We are working under the conditions Standard terms of hotel and catering conditions. You are bound to those conditions if you book a room with us. We will send them to you on your request. For all late arrivals we need a valid credit card. If you check in later than 18.00 you must let us know this by mail or by phone, thank you very much for your reservation at our place. One older child or adult is charged EUR 15 per night in an extra bed. Please note that an 8% surcharge applies to all credit card payments as well for non refundable rooms. Check inn from 14.00 till 18.00 after 18.00 arrival is possible but guests have to notify us. Public parking in front of the hotel is possible (reservation is not needed) and costs EUR 10 per day. Sundays and after 17.30 till 10.00 free parking. American Express, Visa, Euro/Mastercard, JCB, China Union pay card. Coffee and tea facility in the rooms. Cancellation 2 days before arrival no charge, after these days we charge following our conditions. Cancellations by telephone are not accepted by the hotel. 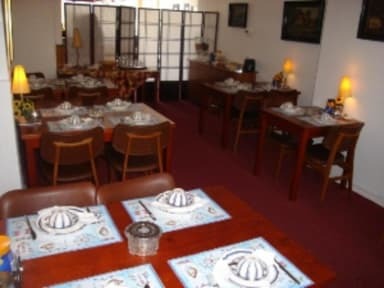 For bookings more as 2 nights, or booked more as a 10 days ahead arriving date or for bookings made for more as 1 room cancellations must be done 5 days before arrival. Starting time is 00.00 Netherlands time. Have notice if there are more as 2 of days reserved and after youre check inn, you change your booking we do not refund your deposit as well. In the case of a NO SHOW we will charge you for the first night + 8% If you want to change your booking it is free of charge if you do it 8 days before arrival.